The Boss GT-1 is a state of the art, multi effects pedal designed to give you unparalleled sound and exceptional portability. 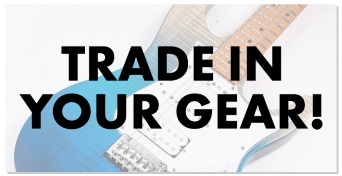 The Boss GT1 takes its sounds from the top of the range Boss GT-100, giving you access to tones you'd typically expect to hear on much more expensive multi effects processors. 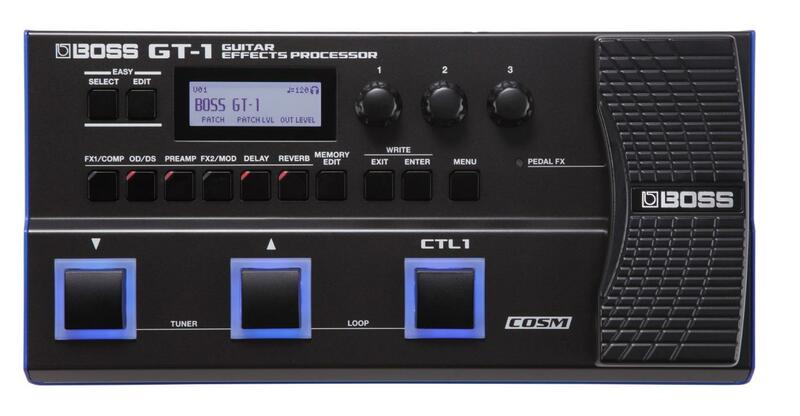 Boss GT-1 features standard effects like overdrive and delay, along with reverb and chorus, plus Boss's MDP technology and utility effects like guitar simulation. They've also thrown in a looper for good measure. The GT-1 is built like a tank, making it the ideal travel partner for gigs. It should slip conveniently into your travel bag. It's either battery or mains powered so you can plug in or take advantage of up to 7 hours of battery life on 4AA batteries. This guitar pedal is really easy to use straight out of the box so even if you're a bit of a technophobe, you'll find yourself fully immersed in the GT-1 for hours on end. Having said that, its loaded with state of the art technology for more technical applications. The GT-1’s three footswitches are smartly designed to provide patch selection, tuner access, looper control, and more in a minimal footprint. 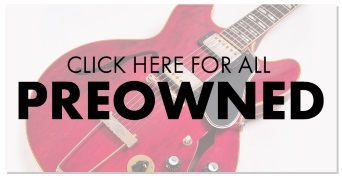 The dedicated CTL1 switch is freely assignable to functions like tap tempo, effects on/off, and numerous others, while the expression pedal and toe switch are assignable to volume, wah, and various effects parameters. If you crave more control, there’s even a jack for connecting up to two external footswitches or an expression pedal. And in addition to providing access to BOSS Tone Central and BOSS Tone Studio, the GT-1’s USB jack lets you record tones with your favorite DAW.